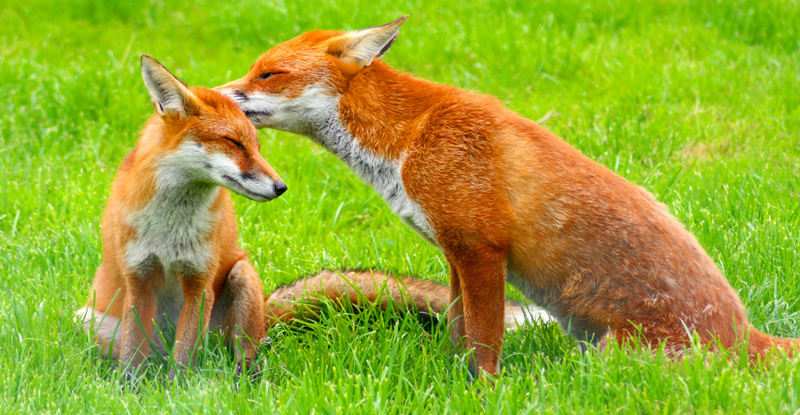 We deal with quite a large number of foxes at Vale, including 20 – 30 cubs every year. The main threat to them is our ever-expanding road network and the increase in traffic that this brings. We also deal with foxes that have been poisoned, been attacked by dogs or sometimes shot. An increasing number of foxes are moving into our towns and cities mainly because it is a safe place with easy access to food because of our untidy, litter strewn society. 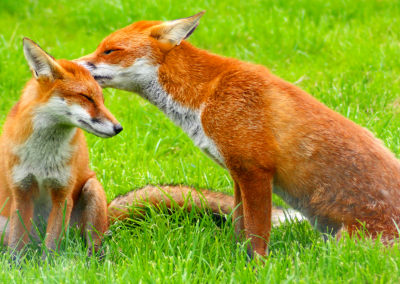 Foxes can inflict serious injury with a bite that is worse than that of a dog so DO NOT be tempted to touch a sick or injured fox. FOX IN THE ROAD – If you come across a fox in the road that has been hit by a car, call your nearest wildlife rescue centre immediately and if possible, stay with the fox until help arrives (in case it manages to move away, in which case, keep an eye on it but do not be tempted to touch it). The Police may need to be contacted if it is causing a possible hazard for other road users. If it is in the middle of the road, causing a risk of an accident, try to make other road users aware of the danger by using your hazard warning lights and warning triangles (if you have them). Unless you are 100% sure that the fox is unconscious, do not attempt to move it out of the road. 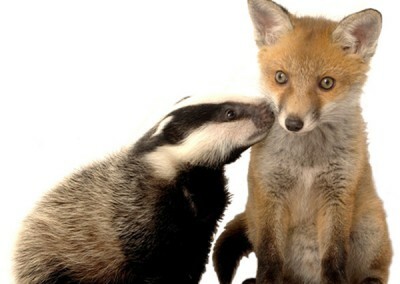 If you have a coat or something similar, carefully cover the fox with it, keeping your hands well away from its head. 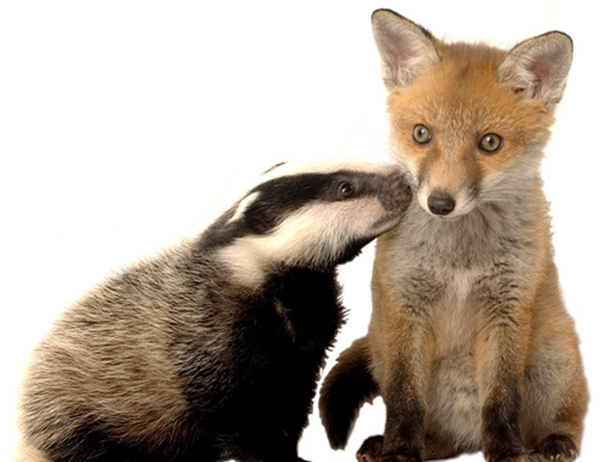 FOX CUBS – If you come across a fox cub which seems to be alone, do not immediately assume that it has been abandoned. If it is very small and is a chocolate brown colour then it is certainly under 4 weeks of age and possibly much younger. The coat does not start to change to the classic ‘red’ colour until they are around 4 weeks old. If the vixen is disturbed when she has cubs, she is quite likely to move her cubs to another earth for safety. Obviously she can only carry one cub at a time (which she does by carrying them in her mouth held by the scruff of the neck), and may even leave one part way to the earth while she returns to fetch another one. Therefore a lone cub has not necessarily been abandoned. If you are nearby, however, the vixen will not return to her cub. As fox cubs get a bit older, they start to venture out of the earth and can be seen playing together nearby. Each scenario has to be assessed and judged individually and you should seek the advice of experienced people before intervening. 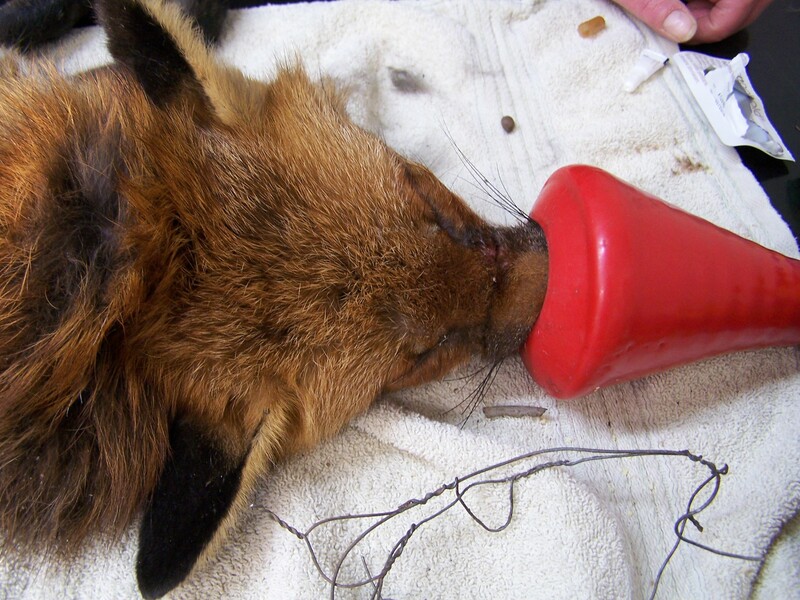 SNARES & FENCES – If you find a fox caught in a snare or a fence, call for assistance immediately. NEVER cut the wire and release the fox. Not only will you risk being badly bitten but a constriction injury often leads to what is called ‘pressure necrosis’. Even if it looks totally uninjured, the line where the wire or snare has been will often start to break down after a few days resulting in serious damage to the area and underlying tissue. 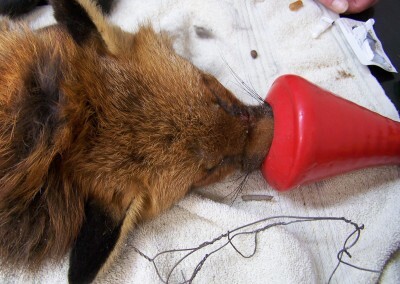 If this happens after the fox has been released the injury is likely to become seriously infected, leading to septicaemia and possibly death.Any animal which has suffered any sort of constriction injury must be kept for a minimum of 7 days before release in order to monitor the constriction site. 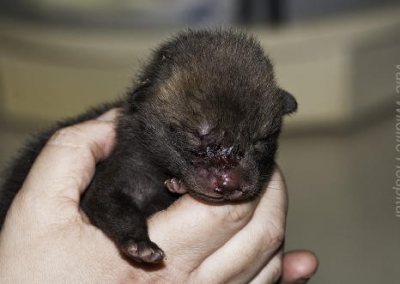 CONTACT US ON 01386 882 288 FOR ADVICE ON WHAT TO DO IF YOU FIND A SICK, INJURED OR ORPHANED FOX. DO NOT ATTEMPT TO HANDLE OR TOUCH IT.